The Zambian Men’s team consigned host Tanzania to third place on the log with a 3-1 win over Malawi on match day 3. With the win, Zambia leap-frog both Malawi and the host to sit comfortably at the summit. 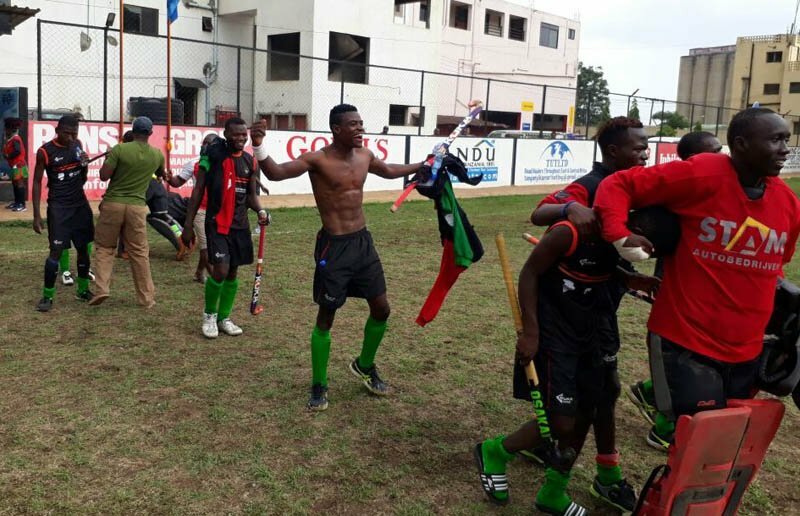 Malawi came in second and will face Zambia in the finals on Sunday afternoon. The Zambians who came into the competition with a good number of their high performing players in the 2014 Youth Olympic Games in Nanjing, have been tagged as favorites to win this maiden competition. Following their loss to Tanzania on match day 2, their chances of making an impact looked bleak and they knew they had to dig deep into their reserves to churn out a convincing win if they are to have a chance to play in the final. It was this motivation that propelled them into action right from the start of the match. They carried the game to the Malawians who were comfortable sitting back and soaking the pressure. The trend persisted for the first two quarters resulting in a 0-0 score-line at the start of the third. The Zambians, realizing the match slipping through their grip, stepped up their play and were rewarded a minute into the quarter with Alfred Mpande striking from open play. The joy of Zambians were short-lived as the Malawians flexed their muscles in response and in the process levelled the match in the 34th minute through Knox Malinki. The Zambians now had all to play for and therefore turned on the heat in search of the lead again. It didn’t take long for that to happen as Alfred Mpande danced through the defence of the Malawians to restore the lead in the 37th minute. The last quarter of the match was keenly contested and offered a lot of entertainment with the home crowd rooting for Malawi to draw level and give their men the chance to play in the final. That was however not to be as star performer and arguably the man-of-the-match, Alfred Mpande, completed his hatrick and sealed total victory for Zambia by converting a penalty corner in the 50th minute. In the women’s series of the best of 3 matches, the second match was rained-off due to the pitch being unplayable as a result of a heavy downpour. Zambia lead the series having won the first match on day 1 of competition.